When I first acquired a worm bin, I had no idea how to maintain a worm farm. I kind of winged it. I assumed the worm farm was self-sufficient, and all I needed to do was top it up with food. This was a rookie mistake. Unfortunately I ended up having to rectify some serious worm farm problems! But once you know the fundamentals, maintaining a worm farm is easy and fun. Know exactly what do worms eat. Take care to not overfeed worms and avoid bad foods. Remember to feed your worms in moderation and to avoid certain bad foods. It’s very important to not overfeed your worms. Worms eat roughly half their body weight everyday. They can also double their population every few months. Depending on how many worms you have, you may only need to feed them every couple of days. Wait until the food is almost gone before adding more food scraps. This is probably the most important advice on how to maintain a worm farm. Some people like to alternate sides or rotate sections (pocket feeding) when adding food scraps into the worm bin. Any excess food scraps will heat up the worm bin and ferment as it breaks down (due to acidity and more moisture). This can increase acidity which then smells and attracts pests. Note that adding foods which naturally generate more heat is not necessarily a bad thing. In Winter for instance I always add some grass clippings and ground coffee grounds to help regulate the worm bin temperature. It’s important to be conscious of what do worms eat. Fresh fruit and vegetable scraps mixed with bedding are a staple food source for worms. I tend to feed worms a lot of apple cores, banana peels, egg shells, tea bags and coffee grounds. It also helps to cut up food scraps into pieces as worms do not have any teeth. There’s certain foods you should avoid too. Do not add too many citrus foods, as this will increase acidity. Do not add meat or dairy as this will make your worm farm smell. Worms also don’t like strong flavors, such as citrus, garlic and onion. Worms do not have any teeth, so it’s good to cut up your food scraps into small pieces so that they can easily digest it faster. 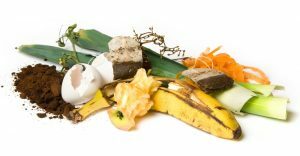 You can help speed up the process by breaking down food scraps in a blender, food processor or with a couple of minutes in the microwave. This is all about providing the worms with sufficient worm bin bedding to live in and be comfortable. The decomposition rate of organic material is greatly influenced by the ratio of carbon and nitrogen. In general, a Carbon-to-Nitrogen (C:N) ratio of between 20-35:1 is ideal. 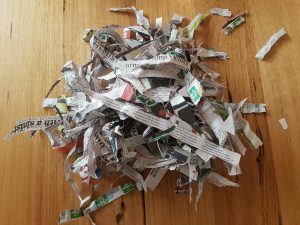 To achieve this, you need to at least match the amount of food scraps (or greens) you add into the bin with shredded paper and cardboard (browns). When in doubt, add more paper. Composting worms need oxygen to survive. Shredded paper and cardboard pieces will create air pockets within the composting system. Not enough carbon will lower the pH level in the worm bin, making it more acidic and moist. You may want to check out our helpful buying guide and reviews of the best worm composter to suit your needs..
From time to time, the pH level in the worm bin may dip too low. You want to keep the pH level between 6 and 7 for worm farms. A handful of agriculture lime of crushed eggshells each week helps to control the pH level in your worm farm. You can buy a pH meter if you’re keen. Compost worms will tolerate a wide temperature range, but they like the same temperatures as humans, between 59° – 86° Fahrenheit or 15° – 30° Celsius. Regulating worm bin temperature can be a real challenge in Winter and Summer. The worm bin temperature is usually 10° Fahrenheit or 6° Celsius cooler than air temperature in Summer, and 10° Fahrenheit or 6° Celsius warmer than air temperature in winter. In summer, keep your worms in a cool, sheltered environment, away from direct sunlight. When it’s extreme heat, you may need to take extra measures such as adding an ice block on top to create a cool zone. And in the colder months, move the worm bin to a warmer area if needed. Every couple of days, check the moisture in the worm bin. The “damp sponge” test is the standard. Squeeze the worm bedding in your hand and check whether any water drips out. Generally, the worm bin should always get enough moisture from the food you put in. So as long as the days aren’t too hot, you should have enough moisture. To keep the moisture in, make sure any material on top is damp and keep the worm bin lid closed. If your worm bedding is too dry, add a sprinkle of water to the dry areas. If the worm bedding is too wet, add more carbon (e.g. paper, cardboard etc…) to soak up some water. Moisture and oxygen are critical for the well-being of the worms and the system. It is a good idea to aerate the top few inches of the worm farm after a heavy watering to avoid muddy anaerobic conditions. Worms are very sensitive to sunlight, so keep the worm bin dark at all times. Always cover new food scraps under some bedding or use a worm blanket (e.g. hessian cloth). This helps to keep the moisture in and light out, inviting your worms to come up to the surface and feed. 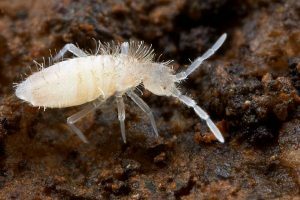 Try cutting back on water, food and reduce acidity in the worm bin to say goodbye to Springtail bugs. Sometimes there are pests in the worm farm. Some pests such as potworms, tiny mites or soldier fly larvae are actually beneficial to the breakdown of organic material. Most pests do not do any damage, and pose no threat unless their population spirals too high. Remember to keep a watchful eye out for any harmful pests. Pests could be a sign that your worm bin is getting too acidic. If you do everything else right when maintaining a worm farm, you should not have a pest problem. You will need to drain excess liquid from the worm farm every 2-3 days. This excess liquid is known as worm farm leachate. If you let the liquid build up, it can get into the lower trays and drown your worms. This would create a putrid smell and cause anaerobic activity to start. Worm farm leachate is often confused with worm tea. Worm tea is made by steeping worm castings in water. It is a rich liquid fertilizer that will give your plants a boost. Dilute with water to a ratio of 1:10 – it should be the same transparency as a cup of black tea. Another worm farm maintenance activity is changing over the trays and harvesting worm castings. This of course is only necessary for stacked worm farms systems. Flow-through worm farm systems are gaining popularity. Worm casings (worm poo) are a great soil conditioner. A stacked worm farm system, which consists of boxes (or trays) which sit on top of each other. When the top tray is full, the broken-down material from the bottom box is spread onto the garden. The empty lower box then becomes the next box to go on top of the stack. You will likely need to change the trays every couple of months. Try to leave the castings in as long as you can, before you need to change the trays. Take a garbage bag, cut it into a sheet and put some holes in it; bit enough to allow the worms to fit though. Place the sheet on top of the new bottom tray (formerly the top tray). Then add a thin layer of worm castings on top of the sheet. When left in the light for a while, the worms will burrow deep and migrate to the tray underneath. 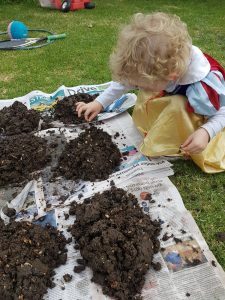 Put worm castings on a very large sheet of plastic or cardboard. Dump the entire contents of the tray onto the sheet. Make some pyramid-shaped piles of worm castings. Under bright light, the worms will move towards the center of each pile. After a short period of time you can gently remove the outer surface of each pile. As you do so, the worm will again react to the light and move towards the interior of the pile. Continue to repeat this procedure for each pile until all you have left is a mass of worms at the bottom of each pile. This method can be a tedious and slow. However it does do a good job of separating most of the worms from the castings. This method is about using food scraps to encourage worms to migrate to different trays. The key is to stop feeding worms in the area you wish to harvest, and to only feed worms where there is fresh bedding. It can take a few months for your worms to sort themselves from their castings. This involves taking an area of worm castings and dumping it onto your garden. The area that was removed needs to be replaced with fresh bedding. This the best article on starting a worm farm that I have found. Thank you so much.